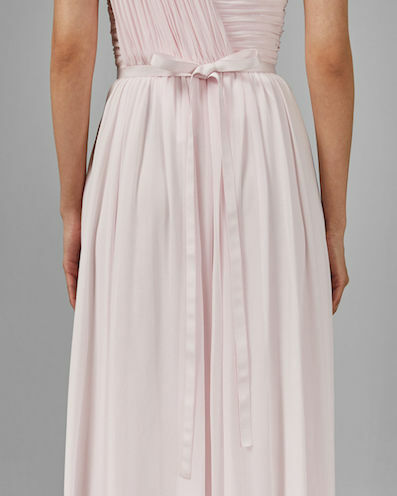 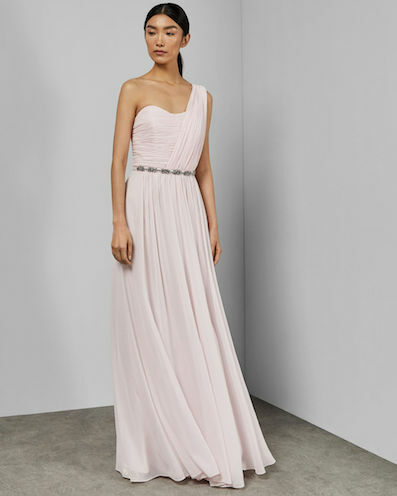 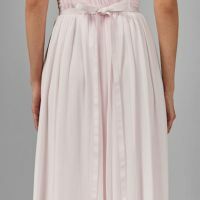 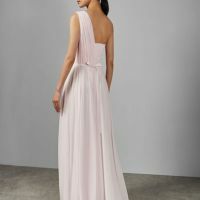 Sultry sophistication is yours in Ted Baker’s feminine blush Finella one shoulder maxi bridesmaid dress. 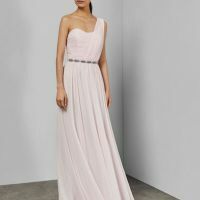 A style that ensures you make an entrance at every special occasion, it features a one shoulder neckline over a flattering bodice, and comes complete with an embellished belt for delicate dazzle. 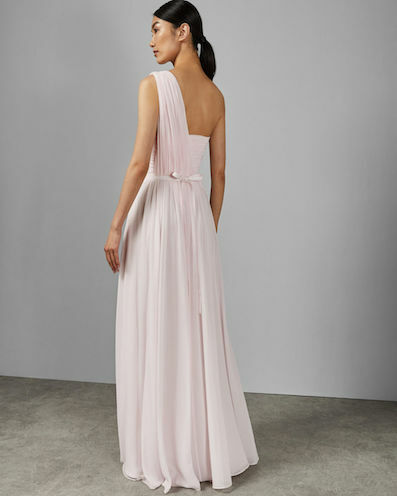 Perfect for a bridesmaid this SS19.